Traditionally Nolans have been in the stone carving business for 5 generations. Over the years the business went from strength to strength, with Jimmy Nolan skillfully crafting hand carved high quality memorials, lettered and finished to a high standard. When Jimmy retired, he handed down the business to his son James. As well as the tradition of producing high quality crafted memorials, James has now branched out into other areas of the business such as: Building Stone, Patio Pavers, Kitchen Worktops, and Stoves. We provide the highest quality crafted memorials. A comprehensive range of prices, colour and designs. 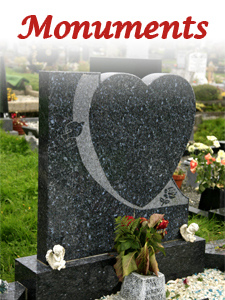 Memorial and headstones prices are ordered to suit all budgets. We also offer a comprehensive repair and maintenance service. For ease of selection we have divided our headstones into two categories. A large range of kitchen worktops available in a wide range of stone, carved to suit your kitchen. 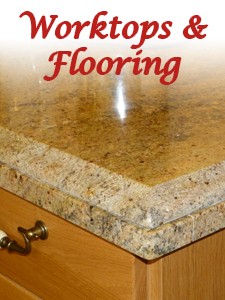 Or why not add some solid stone flooring to your home. 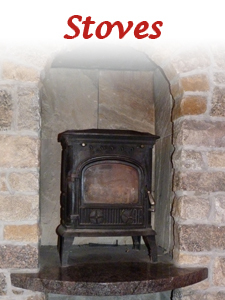 We supply a wide variety of quality cast iron multifuel stoves. All our multifuel stoves are designed to burn wood, logs and other solid fuels such as coal. Our wide range includes non-boiler compact stove or stove with boiler which can heat up to 20 radiators. A range of accessories are on offer to compliment each stove to suit your individual taste. Making the most simple of moments extra special, with Beautiful Bouquets, and Amazing Prices! 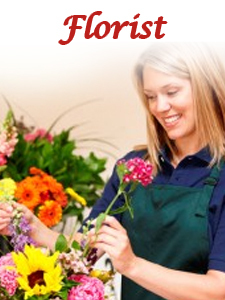 Made to order with the freshest flowers, our florist will create something extra special for your special occasion.